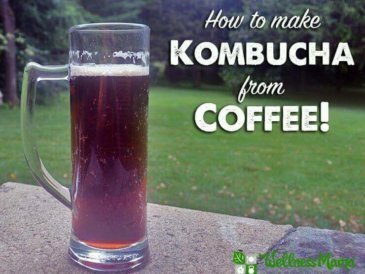 If you’re looking for an interesting variation on coffee, give coffee kombucha a try (it’s an interesting taste for sure!). But if you’re looking for healthy coffee alternatives, keep reading. You all probably know I love my coffee. (So much so one of my DIY projects was a coffee bar!) Still, I’m learning that variety is the spice of life and that applies to a healthy diet too. There are many reasons someone may want to skip their morning “cuppa.” Coffee can be perfectly healthy for some people, but like so many things it really just depends on your individual biochemistry and underlying health issues… as well as the quality of the coffee, how you prepare it, and how much of it you drink. 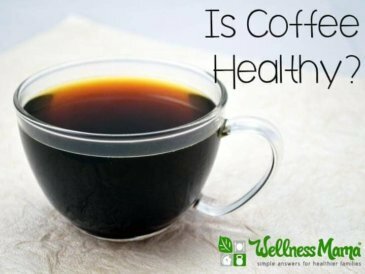 The answer to the question “is coffee healthy or not?” is: it depends. If you have any obvious reactions to coffee, it’s probably not a good choice for you. People with autoimmune disease often find that coffee doesn’t work for them (they may not know until eliminating it for a month or so and then reintroducing it). Ever wonder why coffee affects you differently from someone else? There may be a genetic factor at work. The gene called CYP1A2 determines if a person is a slow or fast metabolizer of caffeine, and some people have a gene variant that doesn’t let them tolerate caffeine at all. I chose to eliminate coffee while on a strict autoimmune diet and I also remove it every few weeks just to test mental performance with or without it. When I am drinking coffee I still don’t drink it every day since that can lead to dependence. I still like to wake up with a cup of something tasty even when I’m cycling off coffee. These are some of the healthy coffee substitutes I’ve tried and love, some of which are very similar to coffee! There’s nothing quite like a nice hot beverage in the morning to get you going. Luckily, coffee isn’t the only option and tea isn’t the only substitute! Here are some of the best coffee alternatives (some really taste like coffee!). This herbal tea is similar to coffee as it is dark and strong. Many don’t like the taste when they approach it as a tea, but enjoy it when they think of it as coffee (since it has similar strong taste). Dandelion root tea can also be mixed in a blend to enhance the coffee-like taste. I use this blend which is made from the extracts of chicory root, dandelion root, rye, and barley (not the roots and grains themselves). This results in a gluten-free beverage that tastes very similar to coffee. Homemade bone broth is a great replacement for coffee as it’s rich in taste and nutrition. It doesn’t taste like coffee but it can be just as warm and comforting! When I don’t have time to make it, I opt for this store-bought option that is actually just like homemade. This herbal coffee drink is my go-to for a coffee alternative. It’s easy to make at home and the added healthy fats and collagen make it really nutritious. It also fits the requirements for most autoimmune diets. This coffee alternative has a very similar mouth feel to coffee and has a lot of health benefits. Chicory root contains prebiotics (fiber that feeds good bacteria in the gut) as well as a small amount of almost every essential vitamin. Brew chicory coffee from 100% chicory root granules or try a chicory blend designed to replicate the taste of coffee. 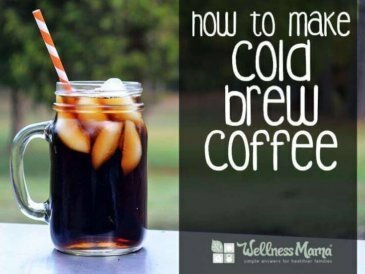 Many who have had a hard time giving up coffee find that this option is the closest alternative to regular coffee. It uses carob, chicory root, and dandelion root as well as other ingredients that blend together to taste (almost!) like coffee. This ancient beverage is a great coffee alternative. Granted, it tastes nothing like coffee but this creamy tea with a touch of spice and sweetness is so comforting I love it just as much. Plus golden milk is packed with health benefits. Turmeric supports digestion, immune function, liver function, and may even offer protection from some types of cancer. Love both golden milk and coffee? You don’t have to choose… this Spiced-Up Cinnamon Turmeric Latte uses chicory for a bolder, more coffee-like flavor. My all-time favorite coffee substitute is actually made from… mushrooms! I know it sounds crazy, but hear me out: certain mushrooms have some incredible health benefits and a natural energy boost (more on that here). Some are even shown to help balance hormones, something many of us moms could use. Some Four Sigmatic beverages are made with coffee (and we enjoy those too from time to time) but there are many without. Their dairy- and caffeine-free Golden Latte and Chai Latte blends are regular additions to my coffee bar when I’m making the switch off caffeine for a while. The packet form is quick and convenient as well as portable (an excellent strategy for avoiding coffee shop cravings). Bonus: Four Sigmatic is offering Wellness Mama readers a 15% discount through this link (no coupon code needed). For the warmer months (when a hot beverage isn’t as appealing) a cool and refreshing morning beverage may be just what’s needed to uplift and get you going in the morning. Lemon water can help you wake up in the morning without caffeine! It’s refreshing and uplifting and has many health benefits too. Lemon water can help with digestion, weight management, immune function (the vitamin C gives a little boost), and it helps hydrate first thing in the morning so the body can eliminate cellular waste. Coconut water is naturally high in electrolytes which helps keep the body hydrated. It’s naturally sweet too which can be a nice choice for those who prefer their coffee sweet. You can also try coconut water kefir, which is fermented coconut water. It’s still high in electrolytes but also contains many probiotics which are important for overall health. This Superfood Vanilla Latte recipe can be made with coffee but also with any of these herbal coffee alternatives. 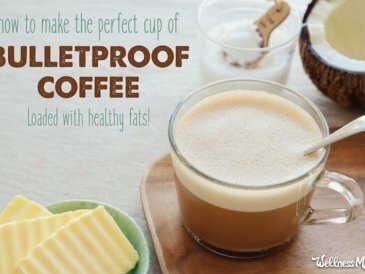 It’s a great way to ease into making the switch as the added vanilla flavor and sweetness (if you add stevia) makes this taste like a coffee shop latte! 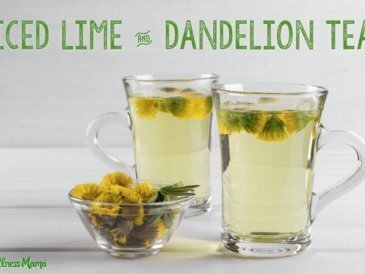 This Iced Lime Dandelion Tea is made with the flowers instead of the roots of the dandelion plant for a more refreshing beverage. Just be sure to only pick dandelions from places that are not sprayed with pesticides (or other chemicals) and where pets don’t poop! Whether you tolerate coffee or not, taking a break from coffee (and the caffeine it contains) can be beneficial for anybody. Coffee breaks, meetings, and dates are a huge part of American culture so many of us (me included) are reluctant to give it up entirely. However, coffee/caffeine dependence is pretty common and simply trying a different morning beverage (even just sometimes) can make a huge difference! This article was medically reviewed by Amy Shah, MD, Medical Advisor to Genexa through partnership with the Wellness Mama Team. As always, this is not personal medical advice and we recommend that you talk with your doctor. 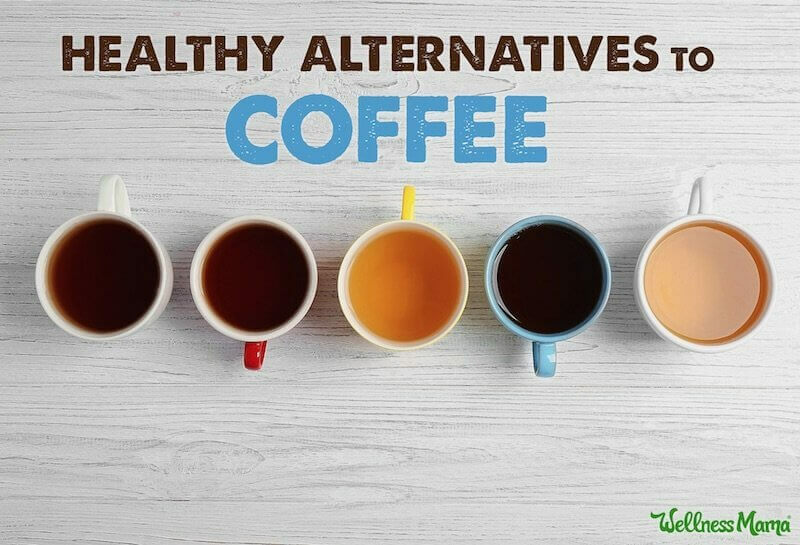 Have you tried any of these coffee alternatives? What’s your favorite?